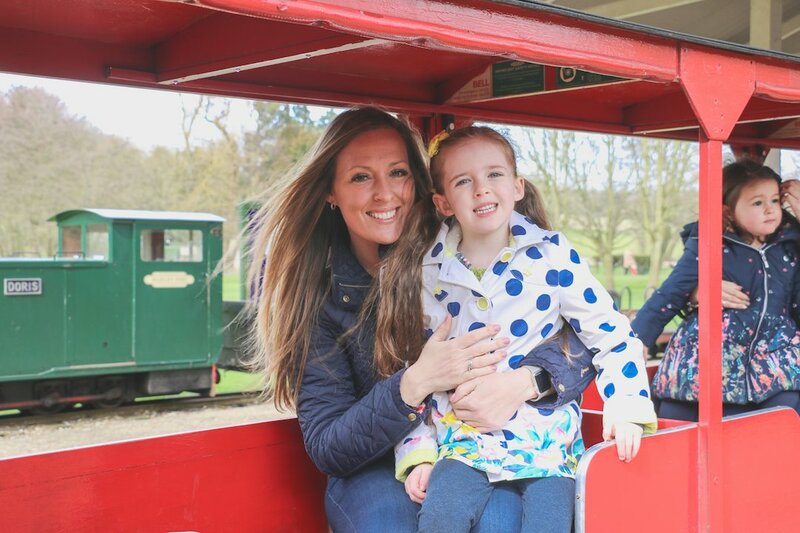 We have been having so much fun at our Easter Special Event, the perfect family day out for you and your children. The Event is running from the 30th March to 15th April. 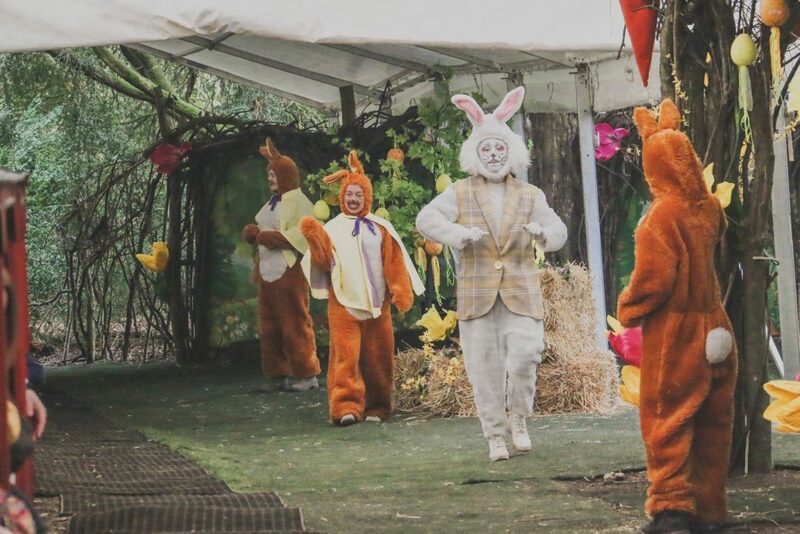 The Event consists of a magical Train Ride through Estate Woodland where you will stop at the Easter Bunny’s home, meet him and his friends, and receive a special chocolate treat. 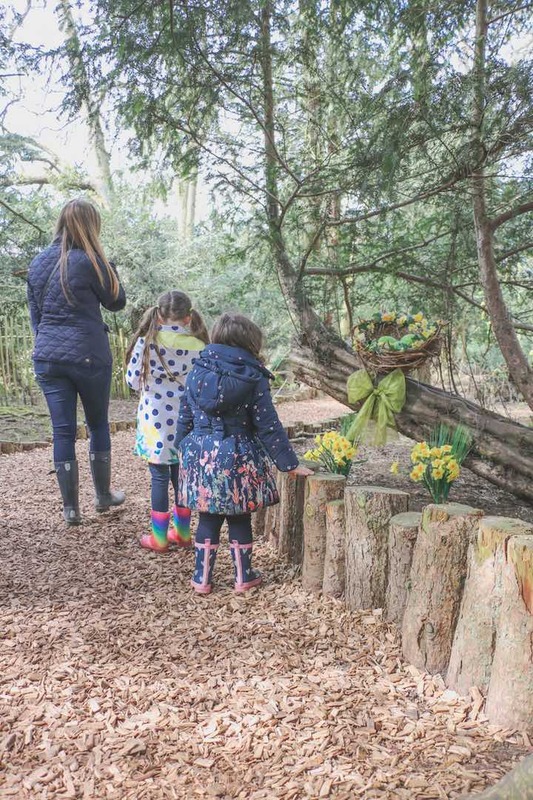 You can then venture through our Easter Trail looking for the many Animals, Eggs and Nests that are hidden around the whirling pathways. 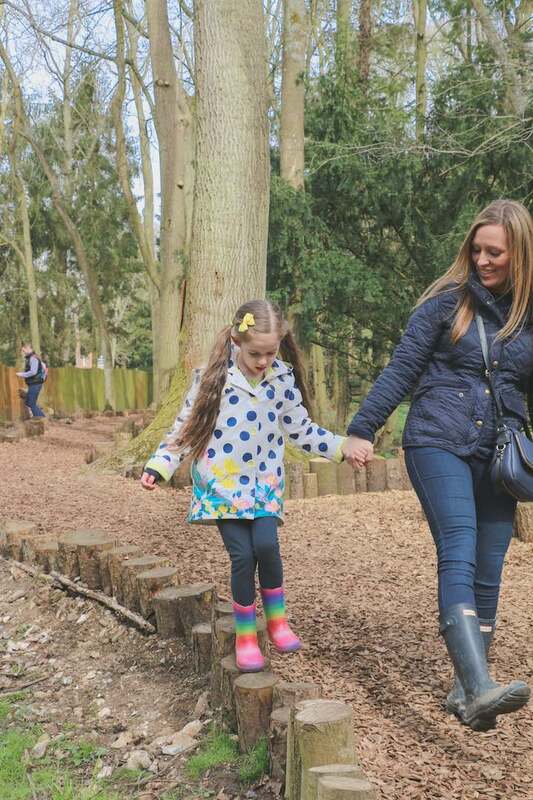 Perfect for a family day out with the children! 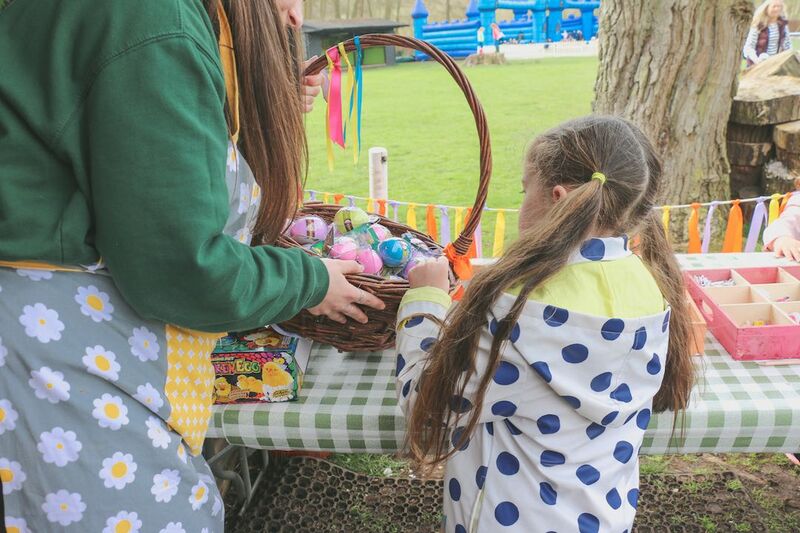 This year we took the decision to extend the special event over the whole 2 weeks of the half term as the demand to see the Easter Bunny was so high in 2017! 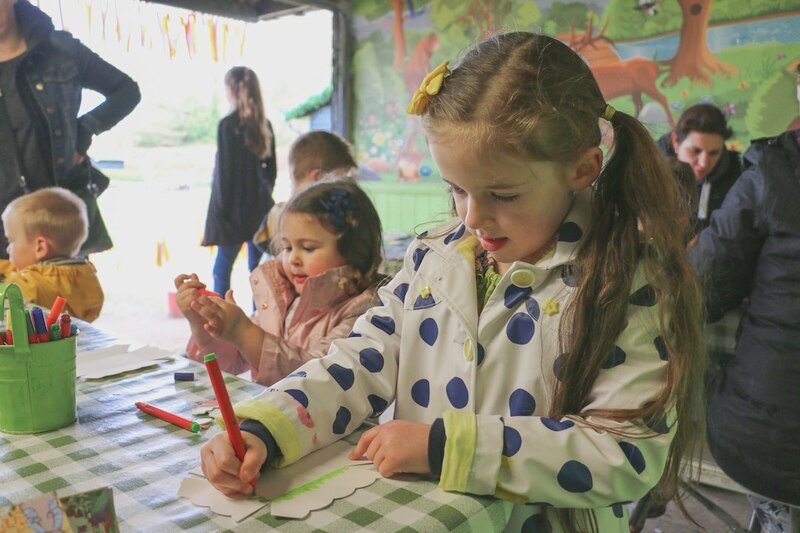 During the event we were lucky enough to work with blogger Emma Mitchell, who runs the blog Little Miss Eden Rose. 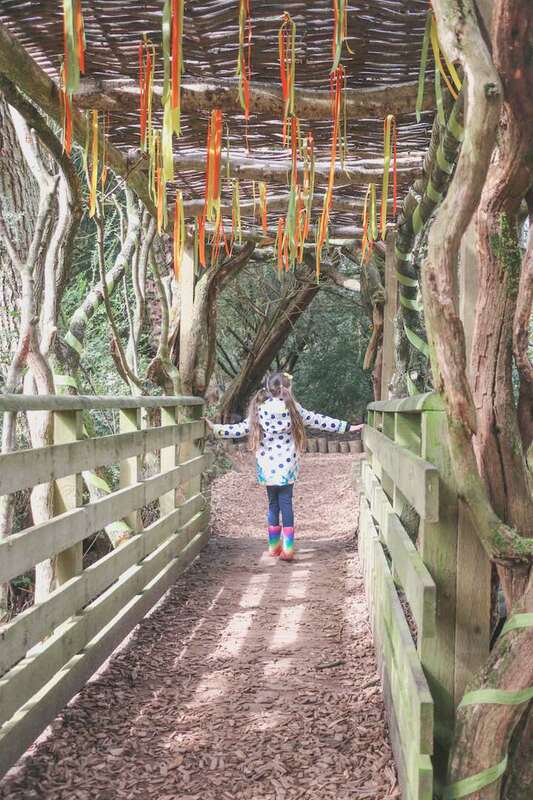 The blog documents her adventures with 5 year old daughter Eden. 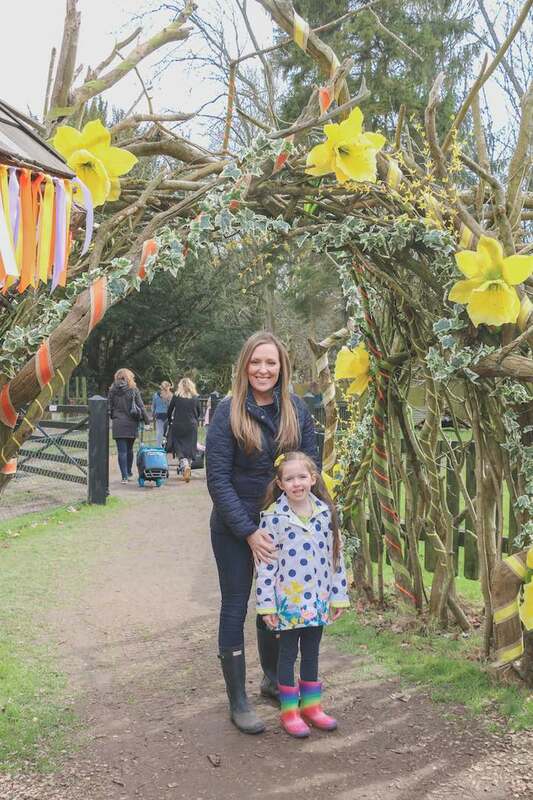 Emma and Eden enjoyed a day out with her friend and daughter Ava. Please check out some images of their visit below. 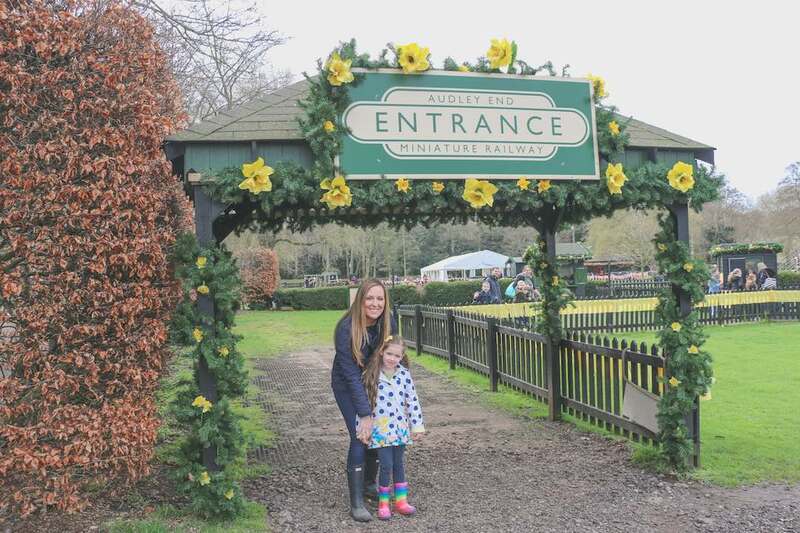 Emma and Eden at the Entrance, ready to start their fun filled family day out! Ready and waiting for the Train to leave the station to visit the Easter Bunny and his friends. 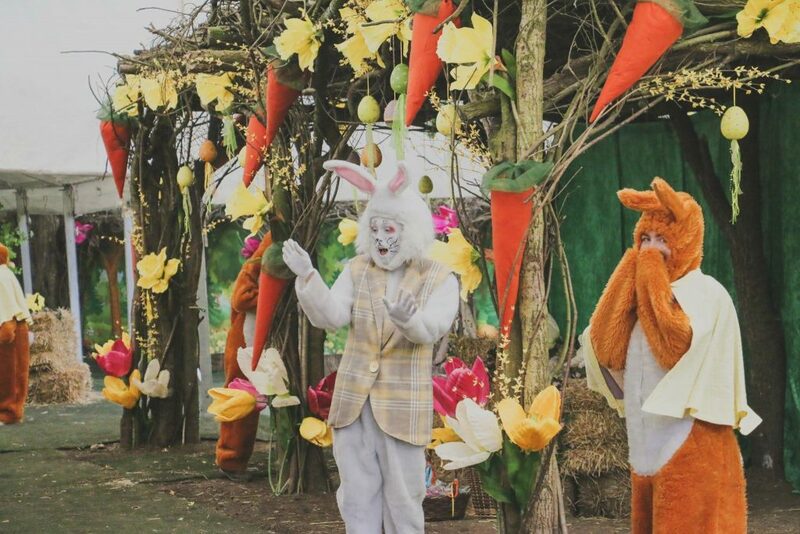 The Easter Bunny and his cheeky friends! 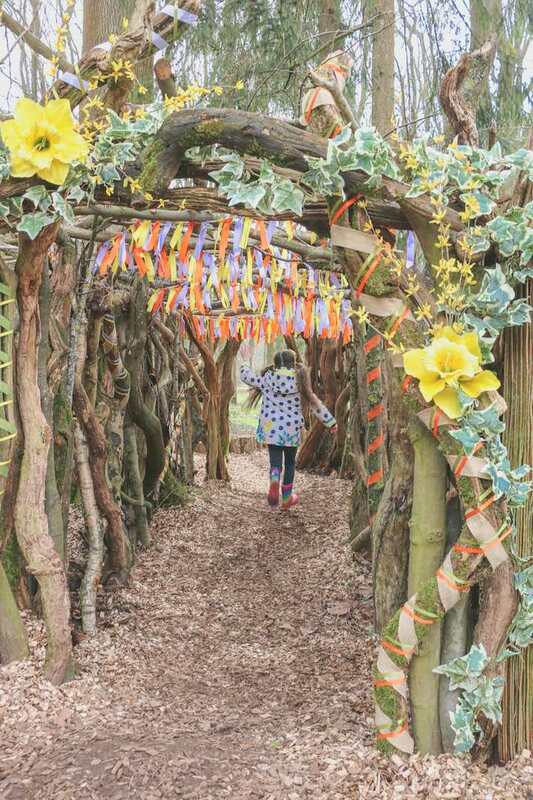 The archway at the entrance of the Easter Trail is the perfect picture opportunity! Not to forget our new, child size archway. The children love running through this when they start the trail. 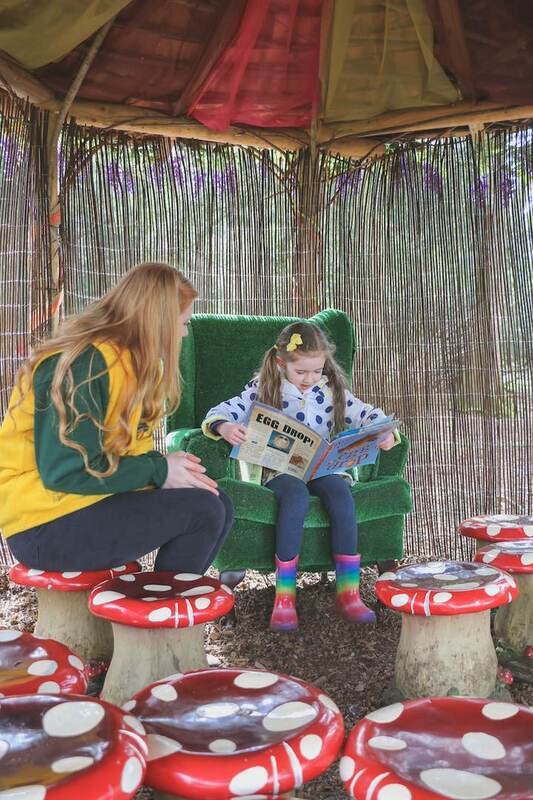 We have recently installed a brand new Elf House, situated within the Den Building area of our Enchanted Fairy and Elf Walk, which is transformed into the Easter Trail during the Easter Holidays. Eden was quite a fan of the slide! 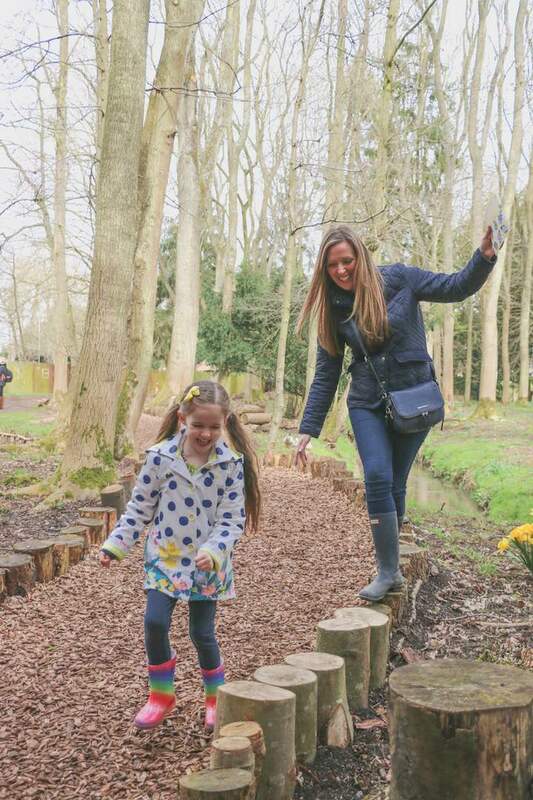 One of Eden’s favourite things to do was walk along the log lined pathways, perfect for testing out your balance. Even Emma had a go too! 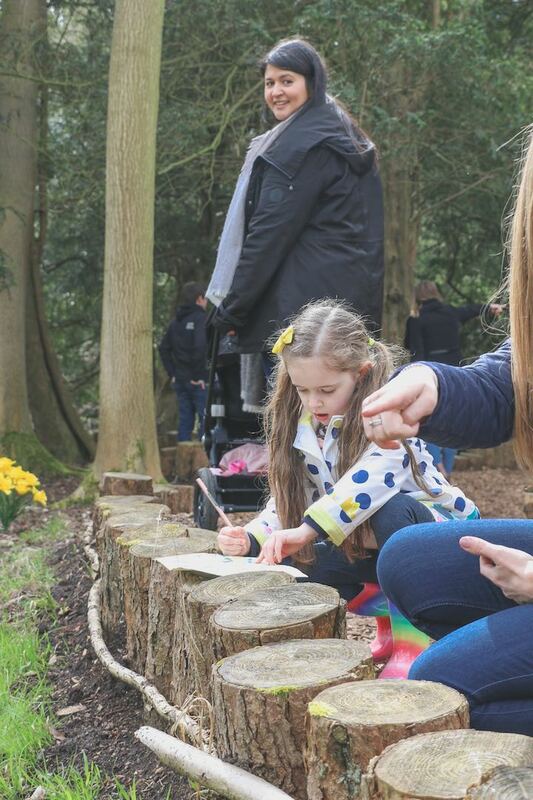 Eden making sure she has ticked off everything in the Easter Trail Booklet. 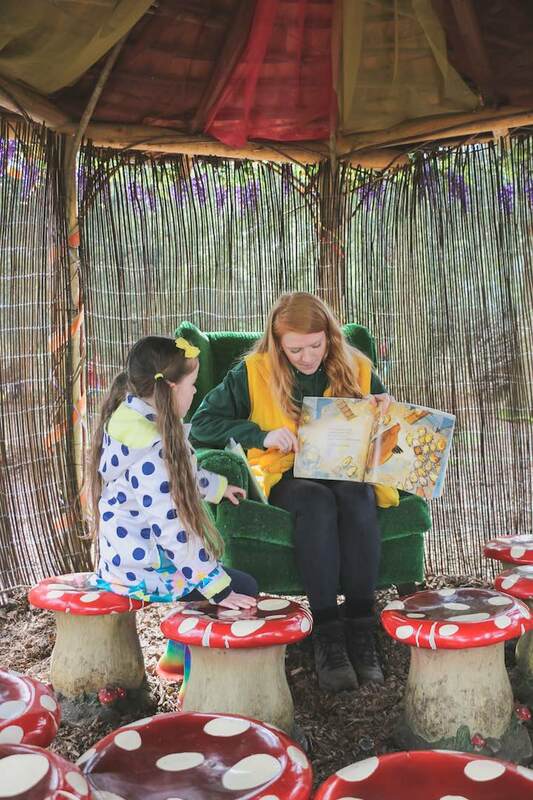 The story telling area was a great hit, Eden even read a story to the story teller! Easter Trail Complete! Eden and her friend Ava managed to find everything around the trail. Yippee!! Now the trail was complete, they head over to the Craft Making Area. 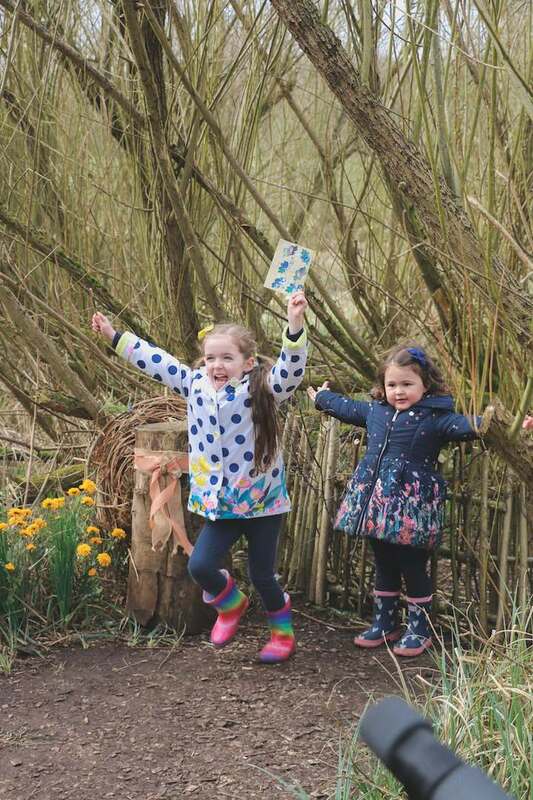 This is where Eden and Ava could collect their second gift of the day, this one for completing the Easter Trail and finding everything along the way. Once the very tough decision of which colour to go for was complete, it was time to finish of their visit and get creative. 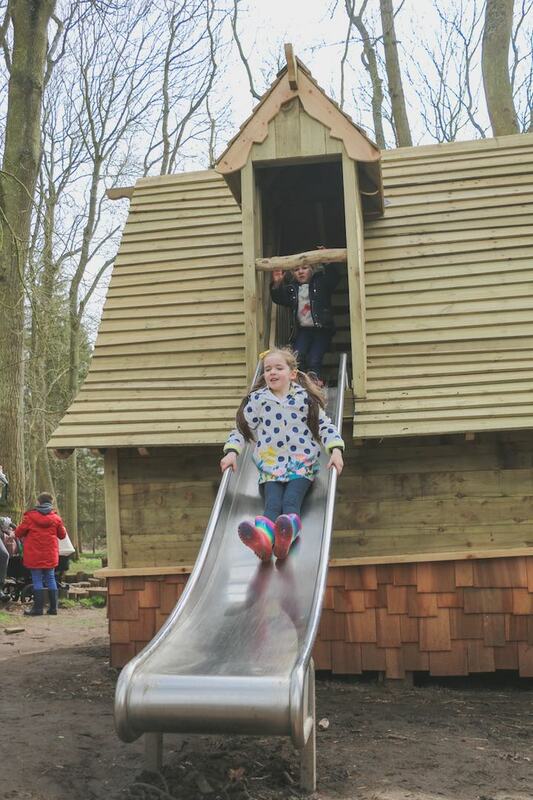 Eden and Ava also enjoyed playing in our large picnic and play area, which has a variety of wooden play equipment.